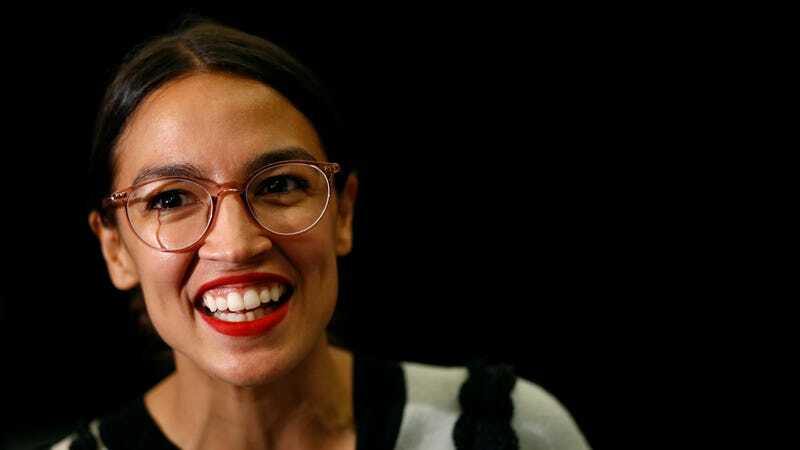 The unpaid internship is just one more outdated, unfair, yet entirely commonplace practice inside Congress that Alexandria Ocasio-Cortez is aiming to shift: On Tuesday, a day after she sharply criticized the low salaries typically offered to entry-level congressional staff and proposed the sensible solution of paying people a living wage, Ocasio-Cortez announced she will become one of the few members of the House who actually pay their interns. And she won’t be giving them a “stipend,” which is often just a euphemism for extremely below minimum wage compensation—she’ll be paying her interns at least $15 an hour. Most of her fellow representatives need to join her. According to a report released in 2017 by the group Pay Our Interns, 51 percent of Republican senators and 31 percent of Democratic senators paid their interns. In the House, the numbers are even bleaker—8 percent of Republicans and only 3.6 percent of Democrats pay interns. As the Pay Our Interns report’s authors wrote, aside from the fact that everyone should be paid for the work they do, unpaid internships create an often insurmountable financial barrier for poor and working-class people, with consequences that linger far into the future. “This sets a dangerous precedent towards a uniquely homogenous workforce, devoid of a wide diversity of perspectives,” they pointed out. These internships are often also a path to an actual job on the Hill, so whether or not you can accept a possibly unpaid intern position may determine whether or not you’re positioned to get a job working in Congress. This pipeline, obviously, favors rich kids. When Rolling Stone asked Schumer’s office about the ad, a spokesperson wrote that the ad was an “error,” and that beginning January, Schumer will offer his interns a stipend. Unwrapping the Beef: What&apos;s Up With Tomi Lahren, Candace Owens, and All These Deleted Tweets?